Summary: This is a delightful and very easy walk around one of the Lake District's more remote lakes. Due to the quiet location the wildlife here is rich with many wild birds to be found, particularly in spring and summer. Flora is abundant too, uninhibited by human intervention. 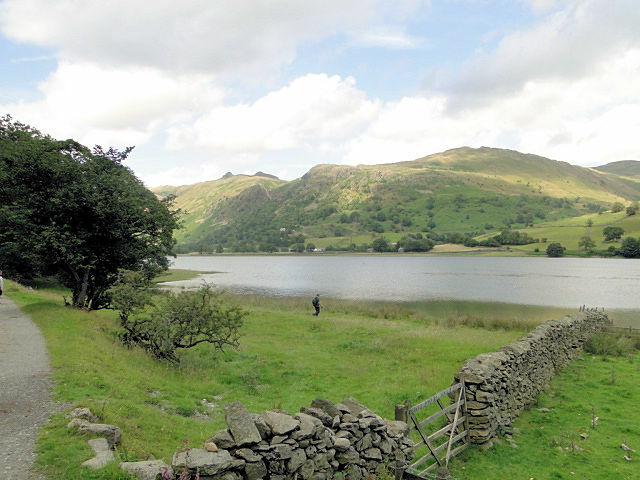 I have walked around Brothers Water several times as a finale to mountain treks in the area surrounding Patterdale. 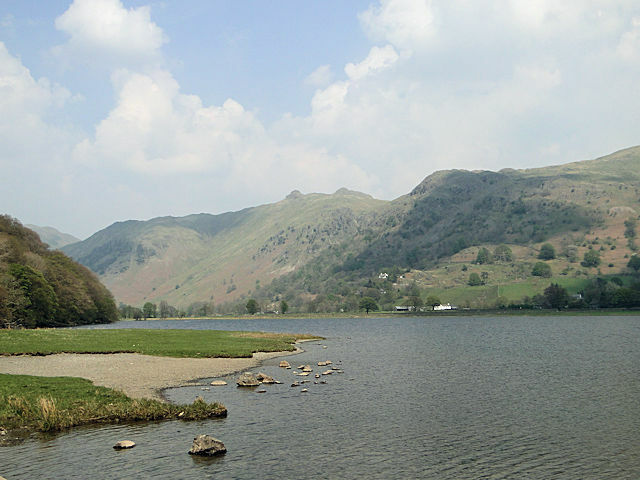 Brothers Water is in the Hartsop valley in Upper Patterdale and is south of Ullswater. It is a small lake and was once called Broad Water. This walk begins from the car park at the north end of the lake. 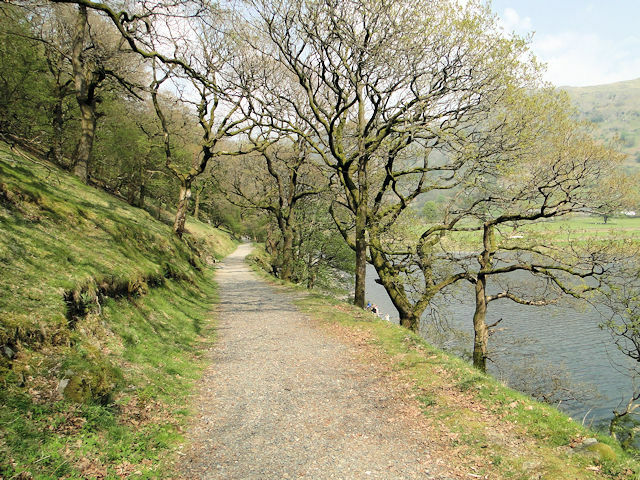 Start out by heading over Cow Bridge which spans Goldrill Beck to the west side of Brothers Water and follow the lakeside path south towards Hartsop Hall. As you walk south you are closed in by the steep wooded fell side of Cora Crag to the right and by Brothers Water to the left. However, although driven straight along the generous track there is much to enjoy with some classic mature Oak and Beech trees to admire. Listen for sounds in the trees, especially in Spring as there are many bird species including Chaffinch, Willow Warbler, Pied Flycatcher, Redstart and more. Although becoming rarer the area is also a notable haunt of the Cuckoo so listen out for the familiar sound. Whilst you stroll along enjoying the many sights and sounds the time will pass quickly by and you will soon find yourself at the southern end of the lake and the location of its feeder water, Kirkstone Beck. Now the tree shelter to the right which had screened Brothers Water is gone and wonderful views of fells hit you full on from the north. 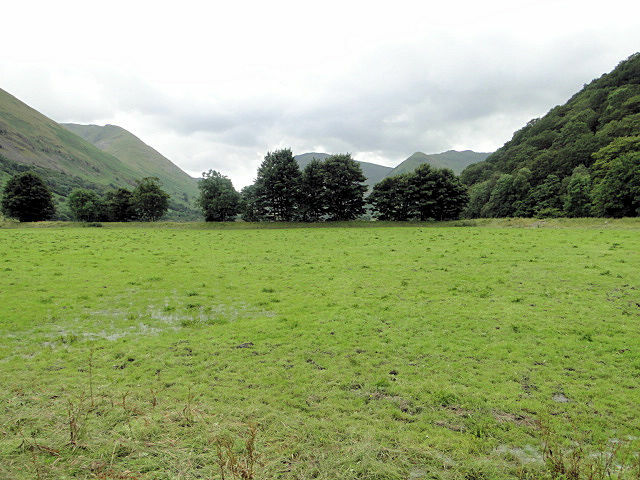 Predominant from right to left are High Hartsop Dodd, Middle Dodd, Caudale Moor and Hartsop Dodd. They are splendid fells to enjoy viewing. From Hartsop Hall the walk does not head on the ancient right of way though the house now! For us it turns from a southerly direction to track east along the access road from the hall towards the main road. Follow it toward Sykeside Farm where there is a camping and caravan site. Walk past the camping and caravan park shop and then bear left at a junction near the Brothers Water Hotel. From here follow a path signposted Brothers Water. You will soon reach a track heading to the main road. Before the road there is a gap in the wall which allows access to the shoreline of Brothers Water, a good spot for a picnic if you have one with you. If not picnicking don't go through the gap but follow the track to reach the road. You are now on the roadside of the A592 which links Windermere and Ullswater (Patterdale) via the famous Kirkstone Pass. The road is usually quiet and driven with care but nevertheless treat this final section of the walk with utmost respect and full caution, especially if with young children. Views, as ever are spectacular to give a good finale to a wonderful lake circular. 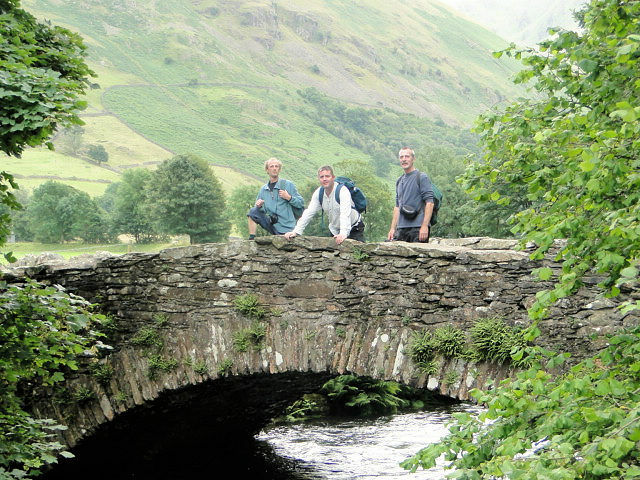 If you have time I recommend you add an additional leg to the walk by following the access road into Hartsop village. 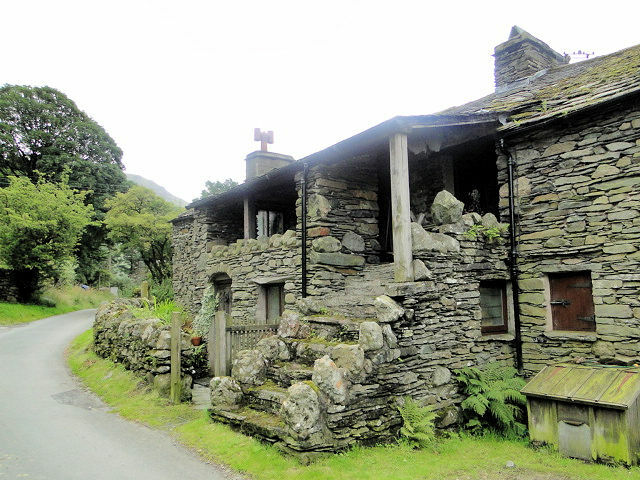 It is a village full of brilliant cottages built from local Lake District slate. An excellent diversion.